Victor Lee Alfaro, 27, talks with his defense lawyer O. Rene Flores during his murder trial in the shooting death of 21-year-old Reynaldo Reyes Jr. in the 332nd State District Court Thursday, March 22, 2018, in Edinburg. EDINBURG — Closing arguments in Victor Lee Alfaro’s murder trial will take place Wednesday morning, after both the prosecution and defense rested their case Tuesday. Alfaro, 27, is accused of fatally shooting 21-year-old Reynaldo Reyes Jr. on May 4, 2016, inside the Edinburg apartment Reyes shared with his older sister, Nancy Lopez. Alfaro was in a relationship with Lopez and frequently spent time at the apartment. Prosecutors, however, were unable to flesh out an explicit motive for the shooting during four days of witness testimony. Only an Edinburg police investigator testified that text messages found on Alfaro’s phone from Reyes indicated they may have gotten into an argument over Reyes having to pick Alfaro up the morning before the shooting. Lopez, however, told jurors she still doesn’t know why Alfaro shot her brother while he laid in bed. District Judge Mario Ramirez Jr. granted the defense’s motion for a direct verdict of acquittal on the second aggravated assault charge Alfaro faced for allegedly pointing the gun at Lopez after shooting Reyes. The judge agreed with the defense that there was “no testimony of fear of imminent bodily injury” faced by Lopez. 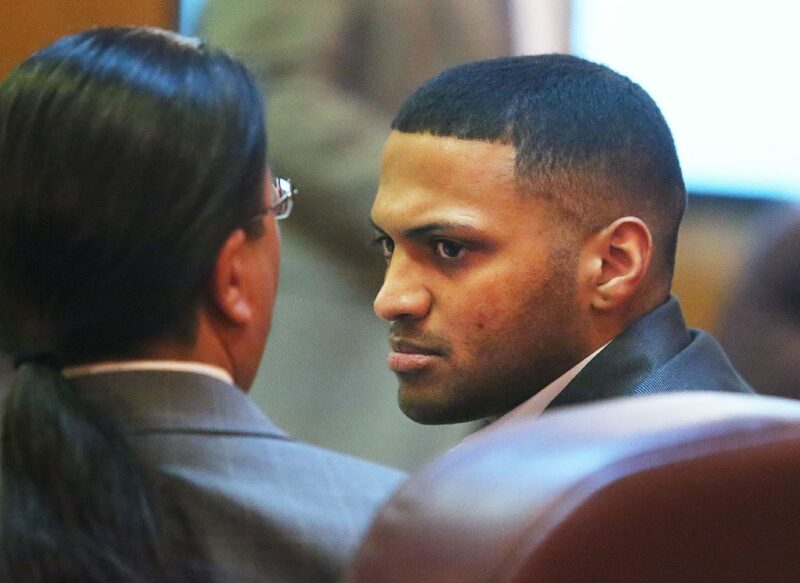 Texas Department of Public Safety forensic scientists testified this week that blood was found on Alfaro’s shirt following his arrest hours after the shooting, but it was “inconclusive” whether the blood belonged to Reyes. They also testified that gunshot residue was found on Alfaro’s pants, belt and underwear but not on his hands. Lopez testified that Alfaro handled the gun with gloves. It was unclear whether this explained the lack of gunshot residue and fingerprints found on the weapon. The defense questioned whether evidence had been contaminated or mishandled by police investigators and lab technicians.